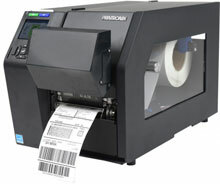 Printing Plus Validating 1D and 2D Barcodes. The ODV-2D is the industry's first affordable, fully integrated solution with the ability to print and validate 1D and 2D barcodes. Built on the robust T8000 printer platform, ODV-2D includes a built-in data validator that grades barcodes to ISO standards and stores a detailed report of each transaction.